In this article, I am going to give you the notification details of UPSC IES/ISS 2019. 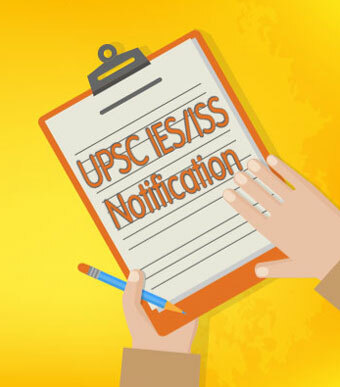 UPSC has recently released the notification of IES/ISS. UPSC stands Union Public Service. The Union Public Service Commission is India’s central recruiting agency. It is the recruiting board, which conducts examinations and appointments of Group A and Group B Central Services. UPSC has released a few vacancies to fill the posts of IES(Indian Economic Service) and ISS(Indian Statistical Service).Read the below article for more information of UPSC IES/ISS 2019 notification. A Tibetan citizen who came to India before 1st January 1962 and permanently settling in India. A person of Indian origin migrated from other countries but settled in India. 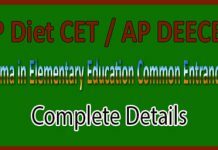 Candidate’s certificate of eligibility is necessary and should be admitted to the examination but the offer of appointment may be given, only after certificate of eligibility only when it is issued to him /her by Government of India. The age limit of the candidate should be in between 21 -30 years. SC/ST – Up to a maximum of 5 years. OBC – Up to maximum of 3 years. Up to maximum of 5 years if the candidate is ordinarily domiciled in the State of Jammu and Kashmir during the period from 1st Jan 1981 to 31st Dec 1990. Up to maximum of 3 years in case of Defence Service Personnel disabled operations during hostilities with any foreign country. Up to a maximum of 5 years for ex-servicemen including Commissioners and ECOs/SSCOs who have served at least five years in Military Service as on 01st August 2017. Up to a maximum of 10 years for the blind, deaf, mute and orthopedically disabled persons. For IES – Candidate should have passed PG Degree in the stream of Economics/Applied Economics/Business Economics/Econometrics. For ISS – Candidate should have passed Bachelor’s Degree or Master’s Degree in the stream of Statistics/Mathematical Statistics/Applied Statistics. Females, SC/ST/PH candidates are exempted from payment of fee. The Payment can be done either by depositing the money in any Branch of SBI by Cash or by using Net Banking facility of SBI, State Bank of Bikaner and Jaipur/State Bank of Hyderabad/State Bank of Mysore/State Bank of Patiala/State Bank of Travancore or by using Visa/Master Credit/Debit Card. 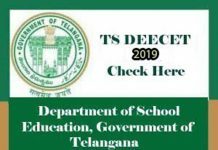 UPSC IES /ISS results will be declared tentatively in the month of July 2019. The exact date is yet to be announced. You can your results from the official website. Hope this article will help to know the details of UPSC IES/ISS notification, exam dates, selection process, eligibility criteria, exam pattern and results.